Loaded Potato Nachos are made by topping oven roasted potato rounds with all of your favorite loaded baked potato toppings, nachos-style! Everyone who knows me knows that I am slightly obsessed with potatoes. They are totally my fave and I wish I could eat them with every meal! I like to load them up with all kinds of tasty toppings! These are my Loaded Potato Nacho -- great served as an appetizer or as a hearty side dish for burgers and steaks. 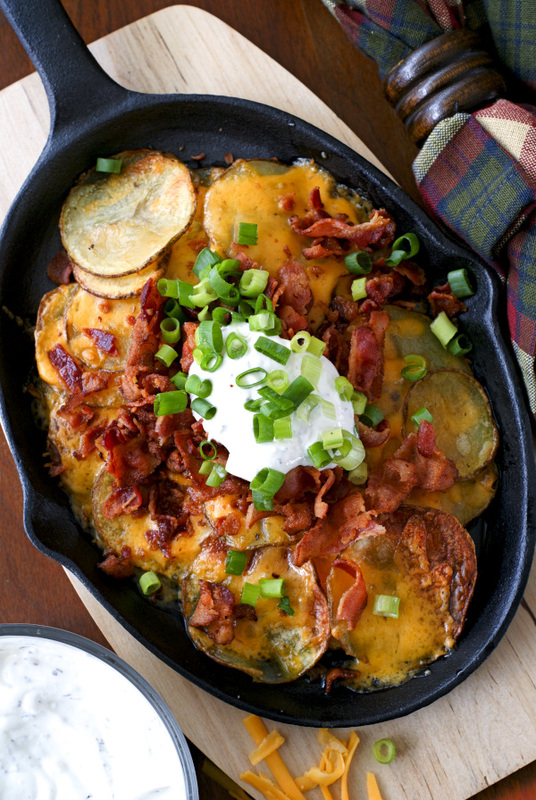 Check out this recipe for my latest potato inspired appetizer over at Real Housemoms, where I am a monthly contributor.